The company behind the Stolichnaya vodka brand has pledged $150,000 to support the Russian LGBT community, but local activists doubt the money will make much of a difference. Russia’s notorious anti-gay propaganda law had unexpected consequences for Stolichnaya vodka. As the vodka most widely associated with Russia, Stolichnaya bore the brunt of a protest by members of the LGBT community in the United States and Europe. Now, in response to the protest action, Stolichnaya’s parent company, SPI Group, has donated $300,000 to an American gay and lesbian support group. A further $150,000 will go to the Russian Freedom Fund, which was set up to support Russian gay activists. “We hope that the $150,000 we are going to donate over the next two years will help to achieve some positive changes in the lives of these people, who now suffer from discrimination and persecution," reads an official statement by John Esposito, head of SPI Group’s U.S. operations. The Russian Freedom Fund was set up in the United States last fall at the initiative of Arcus Foundation, a charity that specializes in collecting donations in support of gay and lesbian activists all over the world. According to data on the crowdwise.com portal, which private individuals use to make donations to various charities, the Russian Freedom Fund has already collected $105,700. The fund's website says that the money will be channeled "directly and immediately" to Russian LGBT organizations and activists to support their struggle for equal rights. 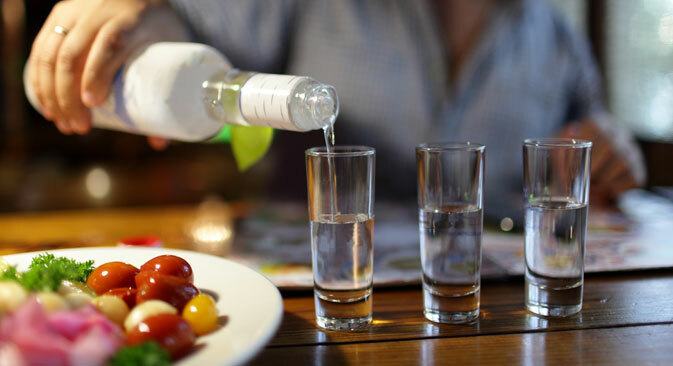 Last summer, U.S. LBGT organization Queer Nation initiated a campaign of boycott against Russian vodka, which was backed by clubs, bars and restaurants in many countries around the world. SPI Group chief marketing officer Marco Ferrari has said that the boycott did not affect the company’s global operational indicators, although SPI has not yet released figures for 2013. The Russian LGBT community has had a mixed reaction to the news of the donation. Konstantin Yablotskiy, president of the LGBT Sports Federation, which organizes sports competitions for gay athletes, said that he has heard of the fund and that his federation might apply for funding, but he added that previous grant applications had not yielded any results. Yablotsky also noted that his organization worried about being classified as a “foreign agent” if it accepts a grant from the Russian Freedom Fund. Non-profits that are funded by foreign entities are subjected to more intense scrutiny under Russian government legislation. Meanwhile, Nikolay Alexeyev, an organizer of gay pride events in Moscow, is skeptical about the possibility of Russian LGBT organizations receiving grants from the U.S. According to Alexeyev, various foreign funds have already collected hundreds of thousands of dollars in donations for these purposes, but the money has yet to reach the intended beneficiaries. “Besides, there is simply nothing to spend that kind of money on here in Russia," Alexeyev said. “It will be spent on paying wages to staff and office rent." This text has been abridged from the original Russian, which can be read in RBC Daily.